We start the day at Warwick with their 14:55 Novice Handicap Chase, where Baroque Man has been supported from [8.0] to a [4.4]. While Neil Mulholland-trained gelding needs to improve on his two starts this season if he's got any chance of winning here, last month's chase debut was more promising than the bare result. He's 5lb lower now and should be at peak fitness on his third run back from a long lay-off. With a yard in red hot form (37% Strike-rate 7-19) and confidence in the market growing today might just be the day that Baroque Man's fortunes change. 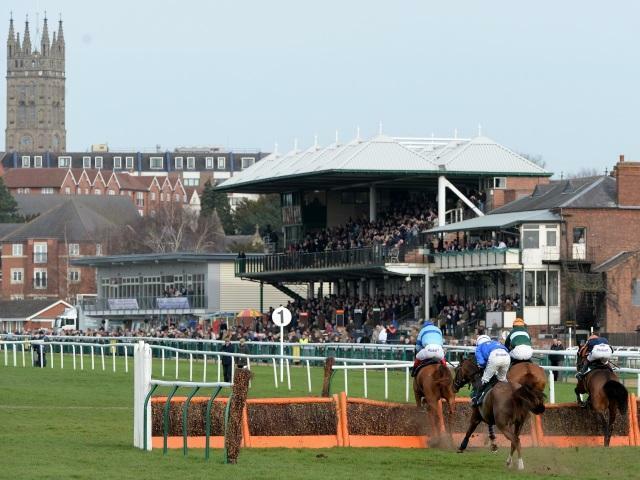 Staying at Warwick for the 15:25 Handicap Chase, where there has been strong support for the second-favourite No Buts, into [6.2] from a high of [10.5]. With the booking of Tom Scudamore, who is in blistering form at the moment with a 33% strike-rate, David Bridgwater has re-united a winning pair who won by eight lengths at Newbury over today's grade, distance and ground back in November. The trainer's comments were positive despite being well beaten at Cheltenham last time out and with such a significant move in the market we're convinced Tom can guide him to success once more. Finally, we head over to Chepstow for their 15:35 Novice Handicap Chase, where the Paul Nicholls-Trained The Chuckmeister has been drifting this morning from [2.8] out to [3.9] in what looks like a very competitive race. It's hard to be overly excited by this Irish-point-winner's form and with Candide being well backed and others with chances in the field most notably No Through Road who will be looking to regain his superb form, this is one favourite we're happy to take on.